Hard to believe ... at least here in Colorado where we just had the "Bomb Cyclone" a week or two ago ... but spring is here. Wednesday March 20 was already the first day of Spring. Vernal Equinox. Spring has sprung! 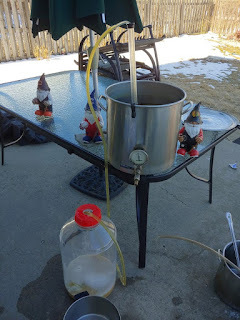 Spring means that it is time to brew my Melting Stream Spring Saison. Obviously, Melting Stream Spring Saison is the Spring version of my Seasonal Saisons. It is very light in color, very dry, and quite hoppy. It uses WY3711 for that delicious and refreshing saison flavor. You may have noticed that this is my second saison batch in a row, and already my third saison batch this year. I love saisons. At least ... I love the saisons that I brew. After my last batch ... 5th Season Blood Orange Saison ... I harvested the yeast so I wouldn't have to go out and buy some for this batch. 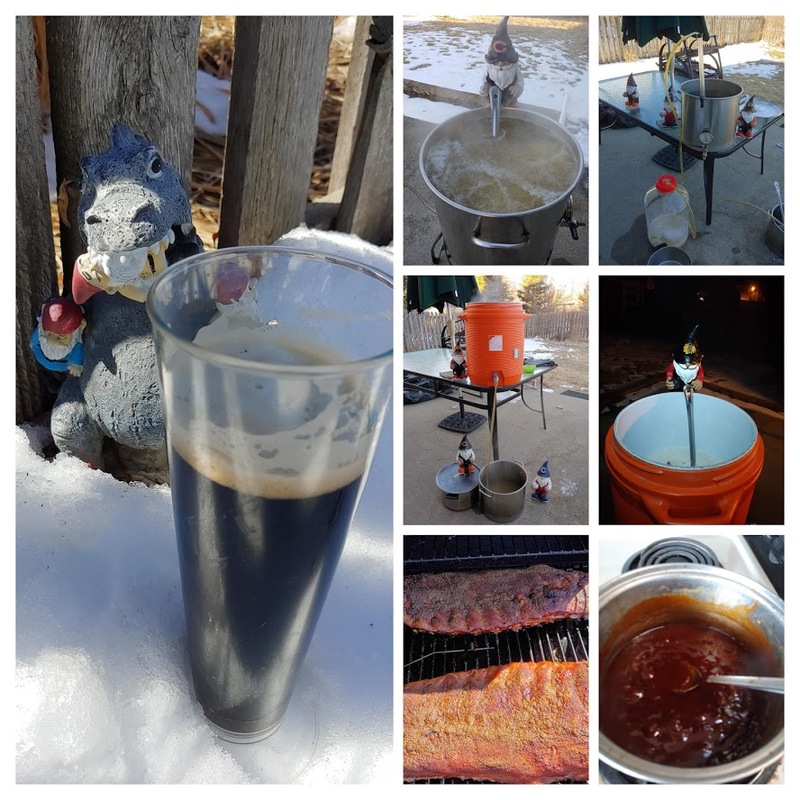 So, I brewed this recipe on St. Patrick's Day this year. FWIW ... this is my 230th batch of beer brewed (if I have actually been keeping track properly). I got started before the sun came up, but not as early as I sometimes get started. I was out of bed close to 5:30. I mashed in at about 6:15. 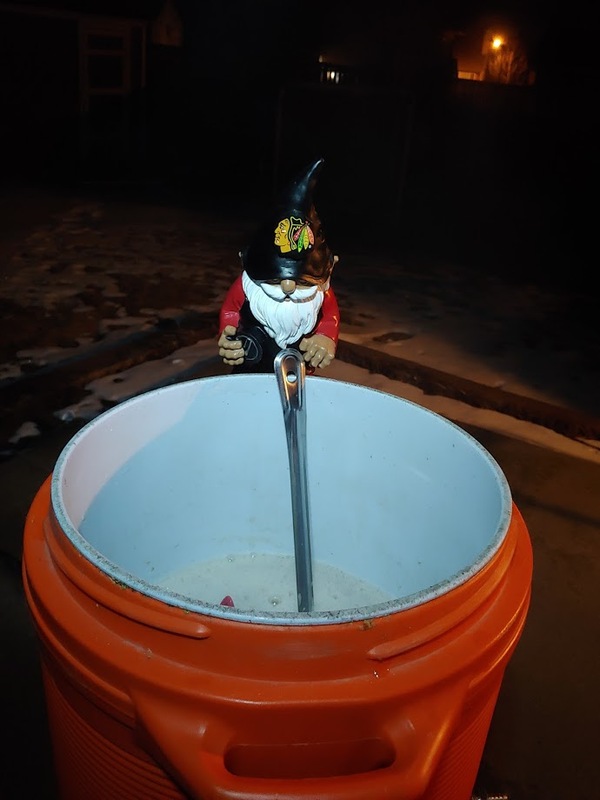 For my saisons, I use a real low mash temperature, so I usually let the mash go longer than usual. It was 7:40 before I started collecting my wort. The pre-boil gravity was a little low. My buddy Jose at the LHBS has suggested in the past double-milling my grains. I skipped doing the second mill this time. That might have something to do with the low gravity. I decided to compensate at the very end of the boil with cane sugar. 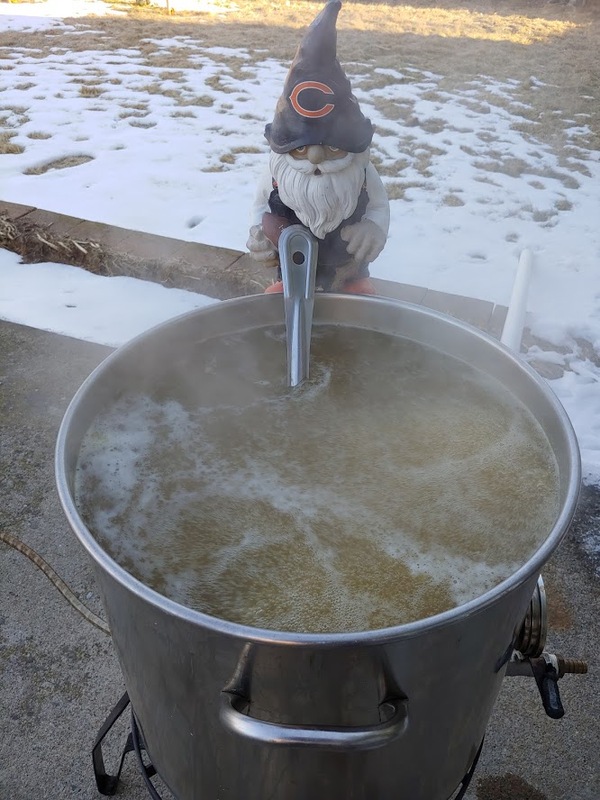 For recipes that have a high percentage of pilsner malt, I do a 90 minute boil, which is longer than my usual 60 minutes. The boil was uneventful. I got everything added at the right time. 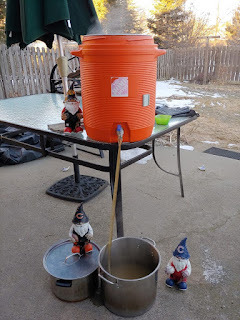 I original gravity was low (as expected from the low pre-boil gravity). As I mentioned before, I added cane sugar to compensate. I had the beer in fermentor (along with extra cane sugar) and the yeast pitched by 10:30. Not sure when fermentation actually started, but it was going real strong by the next day. As I type this in, the gravity is down to 1.012. I expect to get it at least 6 points lower by the time I keg. 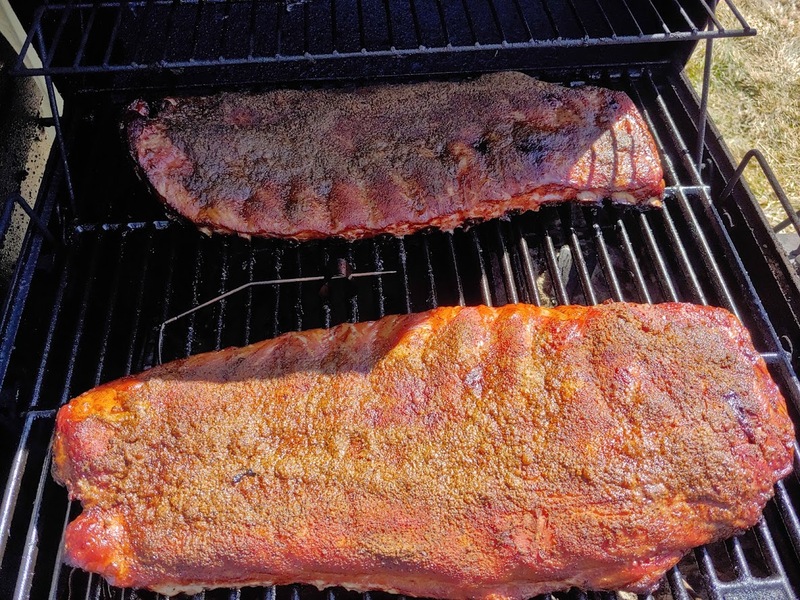 After brewing, I threw some spare ribs on the smoker for dinner. They came out delicious, I'm still getting parts of the rack that are a bit overcooked. I think my problem is probably that the temperature closer to the firebox is higher than farther away. But even though they were not perfect on the whole rack, most of the meat was wonderful. My wife and I put some delicious made-made barbecue sauce on them too.